Pra Somdej Kaiser Ok Krut (Garuda Chest) Siarn Badtr (Alms-Bowl shape head) Nuea Pong Puttakun (Yantra Powders), Ud Pong Wised (Special Yantra Powders inserted into base), Pasom Gesa (with hair of Luang Por Pae) released in the 2519 BE Lai Sen (Signature) edition, from Luang Por Pae, of Wat Pikul Tong, in Singhburi. 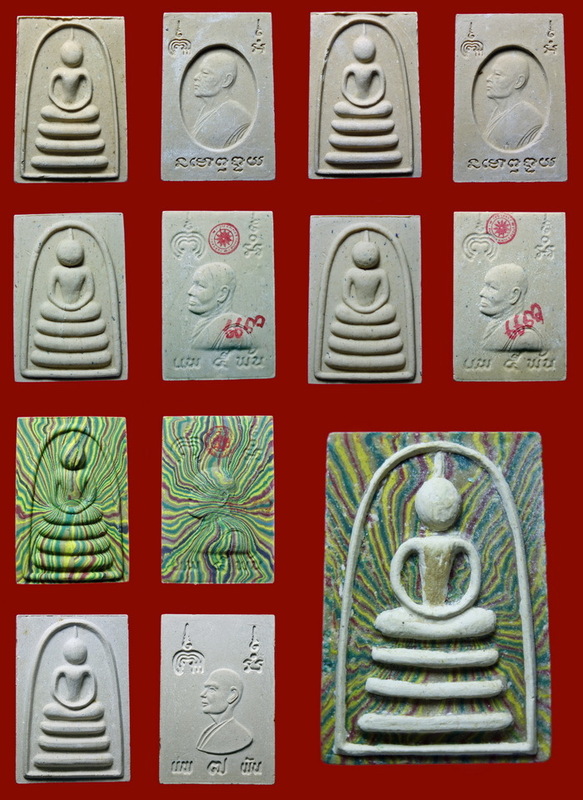 The rear face of the amulet has the Cameo image of Luang Por Pae (side view), with his signature underneath, in his handwriting, which is why this edition became known as the 'signature' edition (Lai Sen). These classic Pra Somdej Kaiser amulets were blessed and released in the Year 2519 BE. The amulet was made in various versions, all of which, just like most Pim from this master, are now becoming extremely difficult to find many remaining examples of. This is perhaps the last times where these amulets may still be found if one searches with great diligence, but otherwise, are now extremely difficult to find. 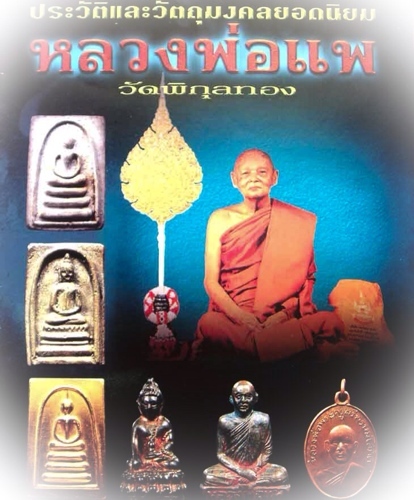 The base of the amulet has some Pong Wised Sacred Powder Paste inserted into the Muan Sarn Sacred Powders of the amulet, according to Luang Por Pae's Traditional Wicha. 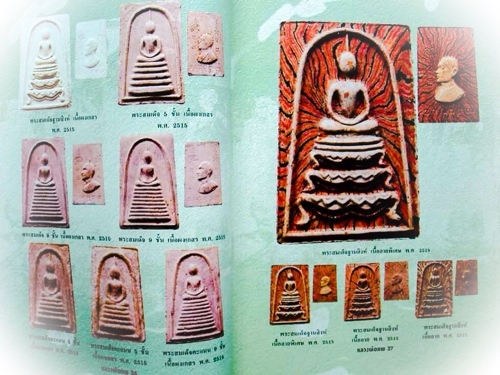 This edition is highly revered for the presence of hair of Luang Por Pae within the sacred Clay mixture. Some hair strands can be seen present protruding from the surface of the rear side of the amulet under an eye loupe, as seen in above image, where two strands of hair are seen protruding. The hair has lightened to a golden brown colour due to absorption of the Tang Iw Oil used in the making of the Sacred Clay. Whoever possesses this Pra Niyom 2519 BE edition Somdej Luang Por Pae amulet, can rest assured of its sacred power and the fact that it can only become ever more rare and expensive, that it is a treasure in itself for its constant and steady increase in rarity, esteem, class and value. The actual face area is not elongated, rather very round and protuberant, like a spherical dome. This kind of pointed topknot and round face, is known as 'Siarn Badtr', which means 'head like an almsbowl'. In the case of the Somdej Kaiser Siarn Badtr, the head will be larger than in Pra Somdej Siarn Badtr, which are not 'Pim Kaiser' models. This model when given its full title, would hence be called; "Pra Somdej Kaiser Ok Krut Siarn Badtr". The rear side of the Amulets features two Na Putsoorn, one placed either side of the top corners, and an image of the grandmaster Luang Por Pae in side view cameo in the central part of the rear face. 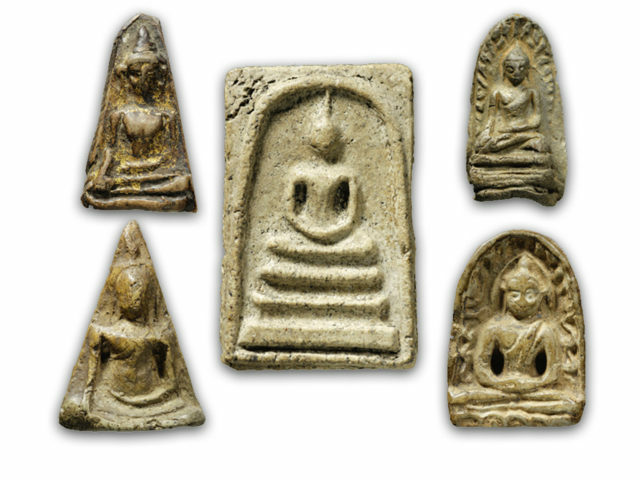 Luang Por Pae was renowned for his purity of practice, and his Pra Somdej amulet, is one of the most classic and sought after to be found in the modern era. This means the last half-century. 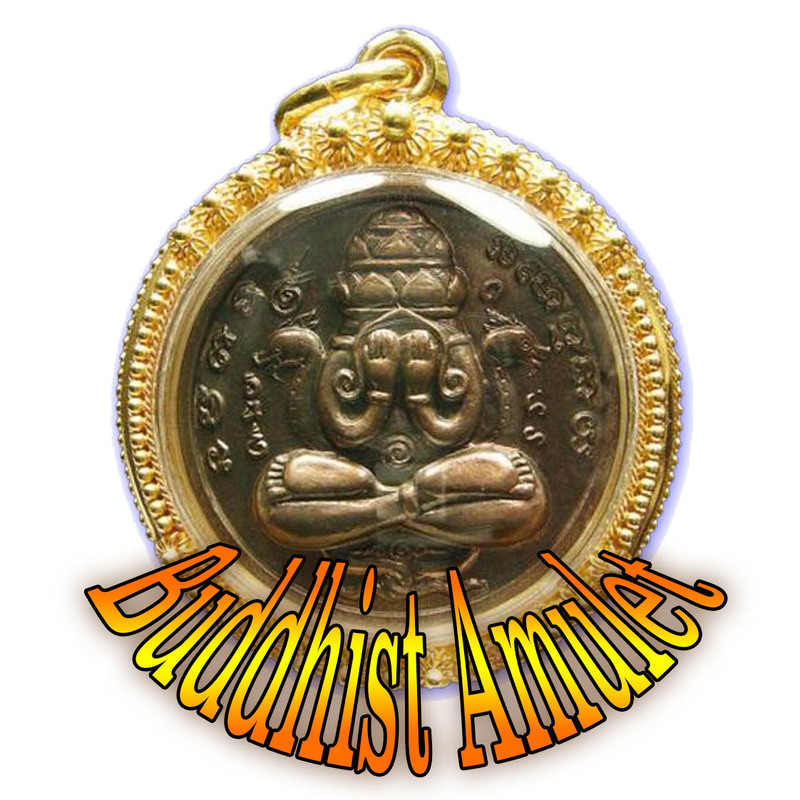 Many other amulets of the same or lesser standard cost much more but this is about to change, and is indeed changing very fast in Thailand, as prices are rising by 20 to 30% in less than a year, depending on the model and its rarity. We predict that by the time our children are grown up, these amulets will be of immensely increased value, and incredibly hard to find one on offer at all, except at an exorbitant price, that is only affordable to rich people. 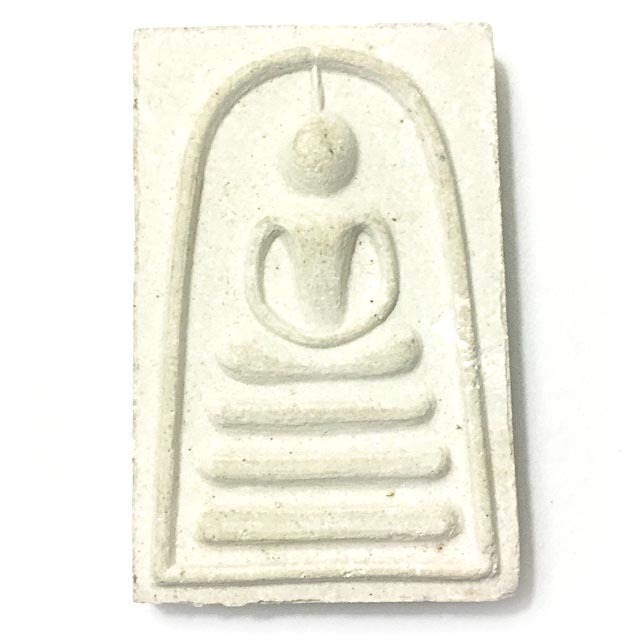 They are already amongst the most preferred Pra Somdej amulets and skyrocketed during the years 2550 to 2557 BE, raising them to the statyus of Master Class Pra Niyom amulets of the highest level. It is not expected to become easier to find them (on the Contrary! ), so now is the time, to hunt and gather the amulets of Luang Por Pae, before it is too late.